The sediment fill of Haukadalsvatn, a lake in northwest Iceland, preserves a record of environmental change since deglaciation, 13 ka ago. The rapid sedimentation rate over the past 2 ka (ca. 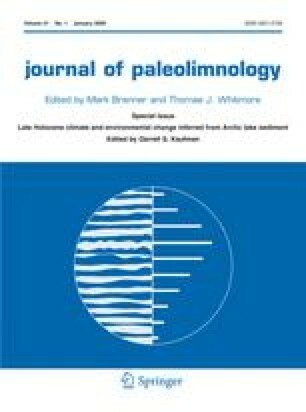 4 m ka−1) provides a high-resolution archive of late Holocene environmental change. 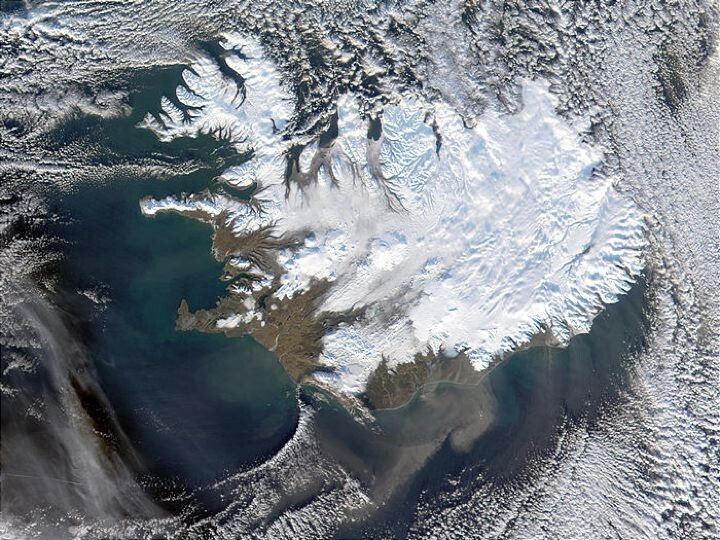 Physical and chemical environmental proxies extracted from cores from the Haukadalsvatn sediment fill provide a reconstruction of sub-decadal-scale climate variability in Iceland over the past 2 ka. Over this interval biogenic silica (BSi) reflects warm April–May temperatures, whereas total organic carbon (TOC) peaks represent an increased flux of carbon to the lake from eolian-derived soil erosion following periods of cold summers accompanied by dry, windy winters. The proxy-based temperature reconstructions show a broad interval of warmth through Medieval times, but this warmth is punctuated by multi-decadal cold intervals. The transition into the Little Ice Age occurred in two steps, with initial summer cooling 1250–1300 AD, and a more severe drop in summer temperatures between 1450 and 1500 AD; both are periods of severe explosive volcanism. Multi-decadal patterns of cold and warm conditions have some characteristics of a North Atlantic Oscillation (NAO)-like signal, but instrumental records and proxy-based reconstructions of the NAO index contain little power in the frequencies most strongly expressed in our data set. 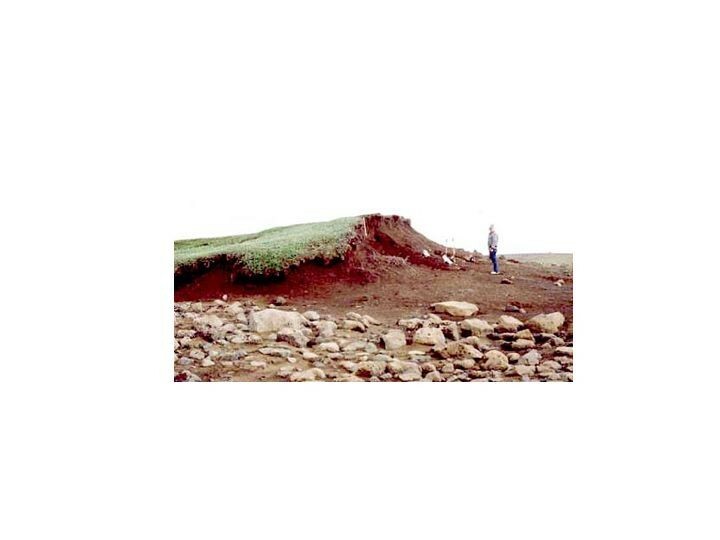 Although severe soil erosion in Iceland is frequently equated with settlement, our reconstructions indicate that soil erosion began several centuries before settlement, whereas for several centuries after settlement, when summer temperatures were relatively high, there was little or no soil erosion. Only during the transition into and during the Little Ice Age did soil erosion become a major feature of the record. The online version of this article (doi: 10.1007/s10933-008-9253-z) contains supplementary material, which is available to authorized users. Recovery of sediment cores in 2003 was made possible using DOSECC’s GLAD 200 coring system. We thank especially Thorsteinn Jónsson, Sveinbjörn Steinthórsson, and Doug Schnurrenberger for assistance and the US National Science Foundation (OPP-0138010) and the Icelandic Centre of Research, RANNIS (#040233021) for support. Gudrun E. Jóhannsdóttir and Saedis Ólafsdóttir measured TOC at the carbon coulometer of the University of Iceland. F.-S. Hu at the University of Illinois, and D. Kaufman and C. Schiff at Northern Arizona University provided BSi analyses. C:N and isotopes in organic matter were analyzed by M. Wooller at the University of Alaska. The University of Colorado Radiocarbon Laboratory prepared 14C samples under the direction of S. Lehman. D. Engstrom measured 210Pb and 137Cs at the St. Croix Watershed Research Station, MN. The analytical program was supported by a RANNIS Grant of Excellence (2002–2004, #022160002-4) and Project Grant #040233021, the US NSF grant ARC-0455025, and the Science Fund of the University of Iceland. A Fulbright scholar grant to Geirsdóttir is gratefully acknowledged. Scott Lehmann and Yarrow Axford are thanked for valuable and insightful discussions. We are grateful for the constructive reviews of D. Kaufman, D. Muhs and three anonymous reviewers. 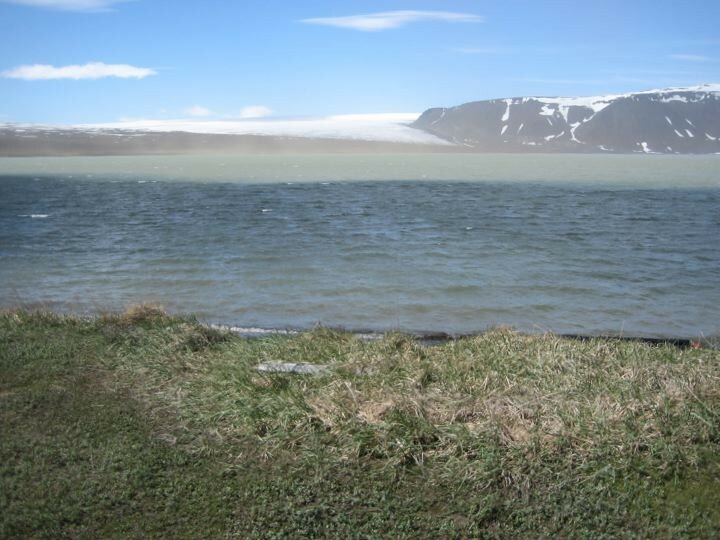 This work is a contribution to the NSF-ARCSS collaborative project “A synthesis of the last 2000 years of climatic variability from Arctic lakes”.